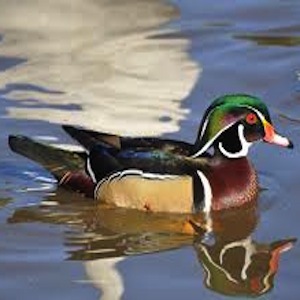 No duck is more striking than the Wood Duck! Early spring is when Wood Duck pairs seek a suitable nesting location in a hollow tree. Here at Beaver Lake, Wood Ducks commonly nest in the old beech trees along the Deep Woods Trail. A quiet guided walk in the early morning may afford you an opportunity to see one of nature's finest offerings.